I'm waiting for last minute entries to trickle in and watching the weather channel for updated hurricane news. I've been praying for all my friends and family back on the east coast. Some of my friends have been evacuated. My FB page really has the most up to date news that is fit to print. What kind of meals are served in evacuation shelters anyway? What's happening to the stores and the restaurants? Wishing you all safety, warmth and nourishment. Here is some comfort food. Thursdays are our day off in Veganville, so we either take time to experiment in the kitchen or hit up a new vegan restaurant. 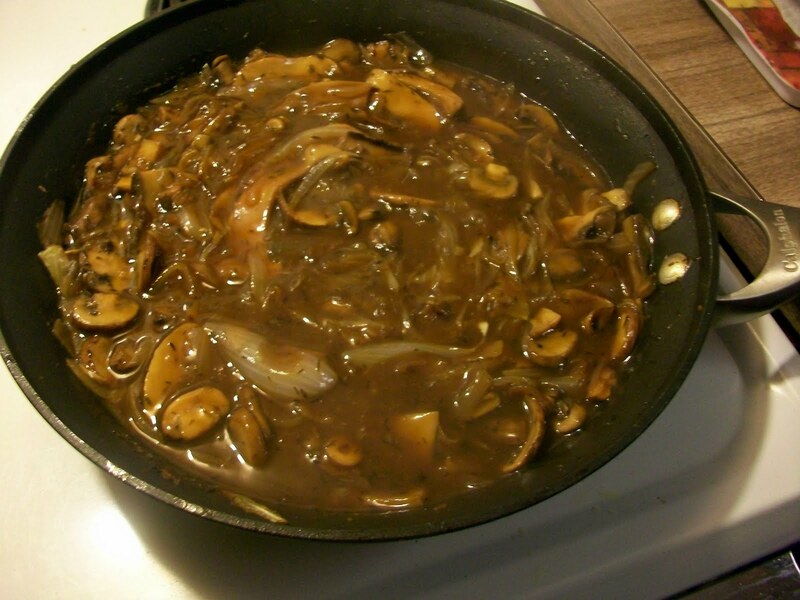 I asked Crazy boy what he wanted to do and he said he wanted me to whip up some stroganoff. I've had Vegan Vengeance for years. The pesto stains and melted chocolate in the margins indicate how it's one of my go to books. 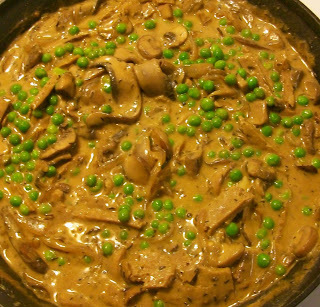 Although the stroganoff looked like a great dish I've never been a seitan worshipper, so this beautiful recipe has been abandoned until now. CB promised to chop the onions into little half moons like Isa suggests. Onions make me weep, which can be cathartic when I'm not famished. He promised to photograph the stroganoff in stages too. It was a done deal. We were very happy with the results and it made enough for three dinners. I'm still not a huge fan of seitan but I do love pronouncing "stroganoff" with a Transylvanian accent. It makes the dinner more fun. Hey did you ever take "transylvanian meditation"? Bahaha. Dissolve the cornstarch in the 2 C of broth. Set aside. Heat 2 T oil in a skillet over medium high heat. Add shallots, onions and saute for 5 minutes. 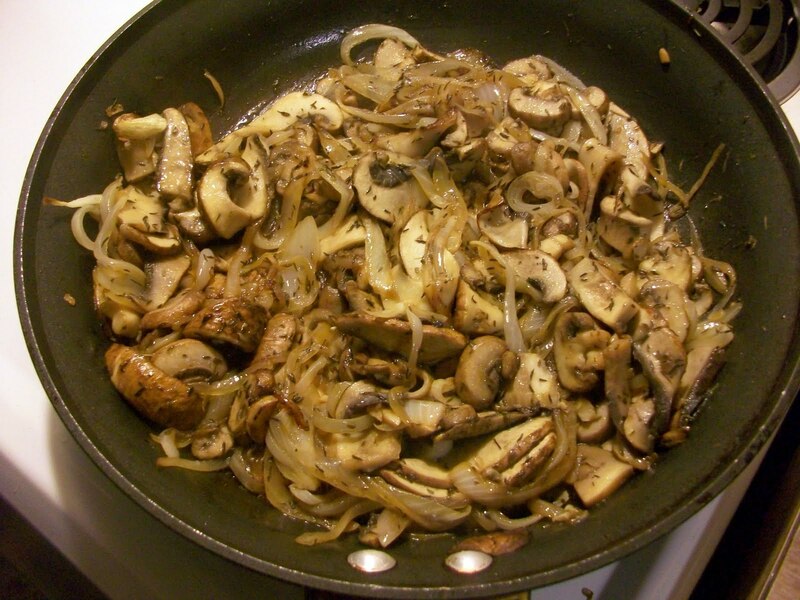 Add garlic, all the mushrooms and thyme. Saute for 15 minutes. While this is sauteing heat a cast iron skillet with remaining 2 tsp of olive oil. Add seitan and saute over medium heat 'til brown and crispy. If you use store bought like we did this will take ten minutes. If using homemade seitan it will take about 25 minutes. Okay, back to the sauce. Add salt, water and balsamic or wine and paprika. Turn up heat to high so liquid reduces, about ten minutes. Lower heat to medium high and add cornstarch mixture, stir well and let the sauce thicken for about 5 minutes Add nooch and mix 'til well dissolved. Add soy milk and mustard and bring heat down to low. Isa says to be very careful here not to let the mix boil, since boiling can make the soy milk and mustard bitter. Add the seitan and peas, and cook for 10 more minutes. Prepare your noodles according to package directions. 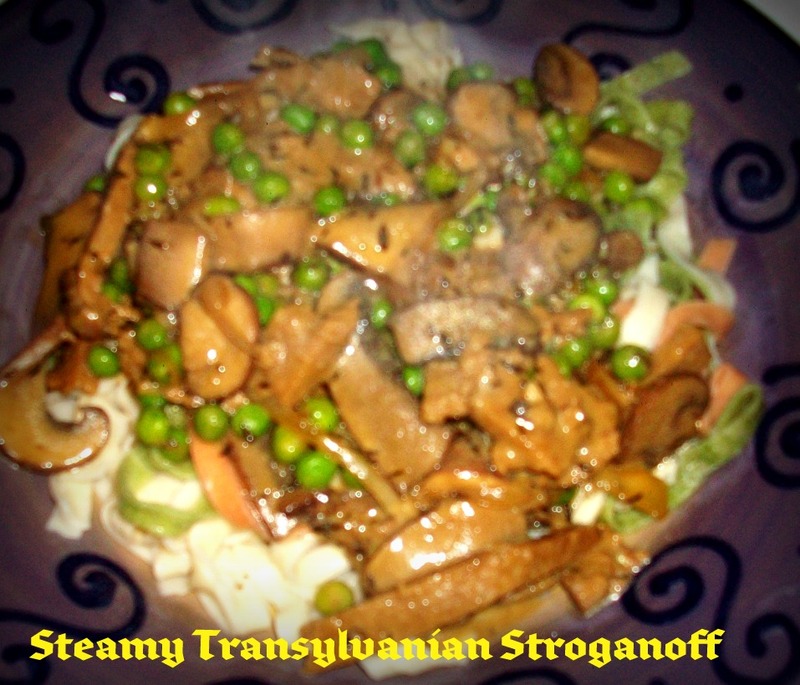 Divide noodles amongst dishes and top with the stroganoff. Tofu sour cream is really good on top too. Hey thanks for the pics CB. I'll be back with a winner of Veganville's most recent contest a little later today.Thanks for playing everyone. In the meantime, may you all find comfort in the middle of life's storms. Yum! This sounds delicious! 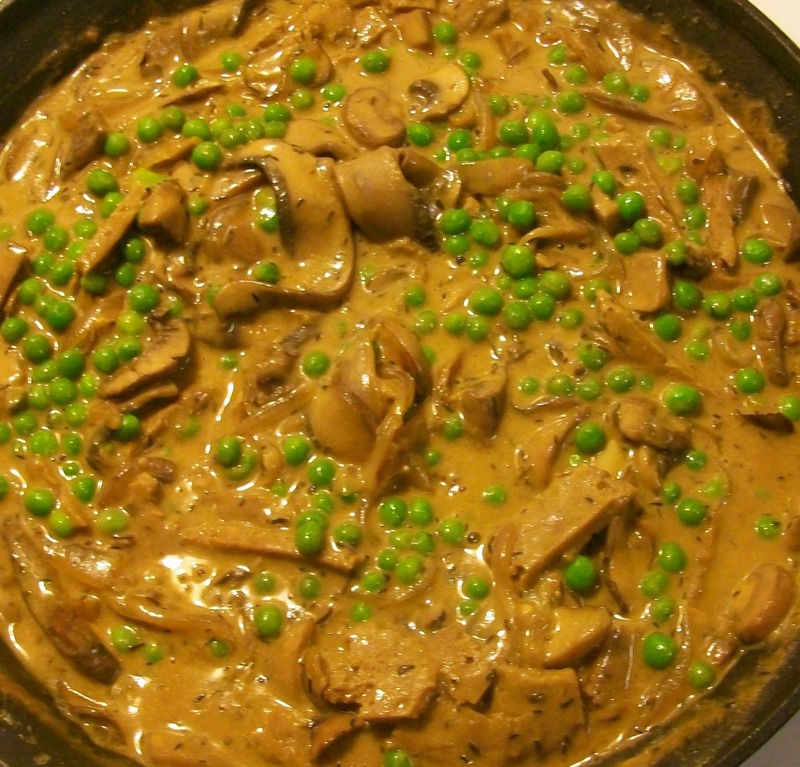 I would love a vegan stroganoff especially when the cool weather comes around again! Thanx for stopping by, Amey. Perfect for the fall. Wow this sounds amazing! Def adding to my must-make-soon list! :) Thanks, GiGi!